"You Have Such Beautiful Hair"
Another early pen-and-ink expressing the ambivalence of connection. 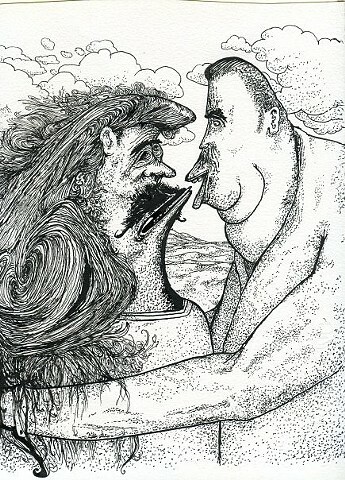 I very much enjoyed creating the ornate hair on the repulsive figure on the left. One of my pieces where I feel like the title created an amusing backstory to the image. After all, it can be quite easy to focus on the positive while ignoring the clearly abhorrent.